Promise check: 5 million work opportunities instead of 6 million for ANC? The Expanded Public Works Programme set itself a five-year target to create 6 million work opportunities by last month. But the numbers don’t tell the whole story. In what ways do these temporary opportunities change people’s lives or fail to do so? Inadequate pay and the temporary nature of work opportunities were some of the concerns beneficiaries of the Expanded Public Works Programme (EPWP) raised in interviews with our reporters. Whether the skills acquired can be applied in different contexts was also a worry for some. Esminah Mhlongo (34) from Phiva, Mpumalanga, told Sizwe sama Yende the community development skills she had gained could only be applied within government. Mampho Gawula (53) from Popopo village in Mount Fletcher, Eastern Cape, said she was yet to learn valuable skills. 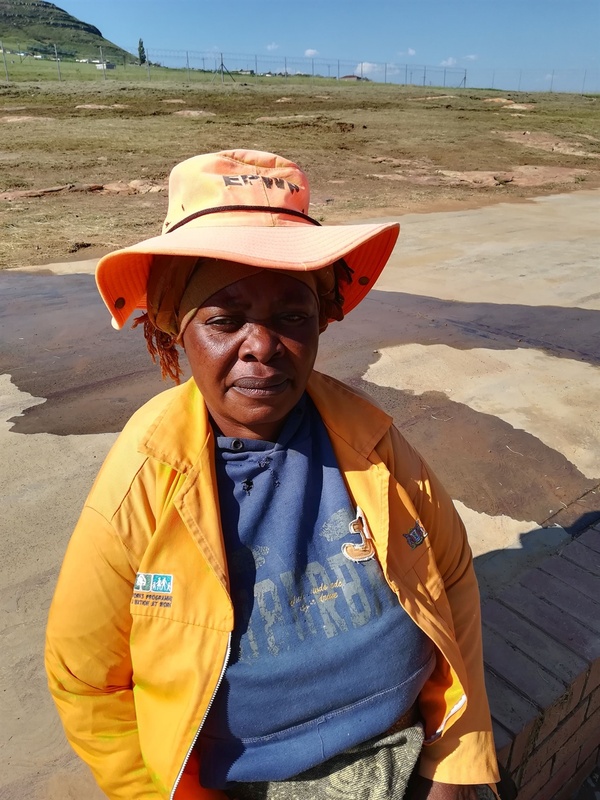 Gawula is part of a group of women who fix potholes in the gravel road near her village by filling them with small stones that she and her team gather. “Maybe as time goes on we will be taught something new. But, for now, everything we are doing in terms of fixing potholes is something anybody can do,” she told Lubabalo Ngcukana. Gawula, who earns R750 a month from the EPWP (she works two days a week) supplements her income by doing odd jobs. She said she was grateful for this income, but that it was “really too little”. “I think if government could increase it to at least R1 200, we could be able to do some of the things that we often wish to do, like build my family a house.”She said she was “very stressed” before joining the programme in October. Now she is able to support her children. Locratia Makamo (31) from Nkomazi, Mpumalanga, wanted the work opportunity to be permanent but, by nature, EPWP opportunities are temporary.According to the department of public works, “the objective of the EPWP is to contribute to the alleviation of poverty and unemployment through the provision of short-term to medium-term work opportunities”. Stanley Henderson, deputy director-general for the EPWP in the department, said there were “numerous cases” of people finding employment in the formal sector after participating in the EPWP. He also mentioned examples of participants who subsequently started their own businesses. Henderson said the minimum wage for an EPWP participant was R92.31 a day from November 1 last year.“It is important to note that this is the prescribed minimum wage and that many public bodies pay more than the minimum,” he said. Since she was 19 years old, Locratia Makamo has only ever worked in the Expanded Public Works Programme (EPWP). The 31-year-old, who hails from the rural Block C village in Nkomazi near Malelane, started working under Mpumalanga’s department of social development after completing a one-year course in development practice at Wetlands Private Technical and Vocational Education and Training College in Mbombela. The course has equipped her to be a community development practitioner who does household profiling and verification to support government’s poverty alleviation efforts. While she is concerned that the EPWP work (a 12-month contract in her case) is not permanent, Makamo remains optimistic about the future. “It is not the same as being unemployed and I believe now that I am employable. I could not even use a computer before,” she said. Unlike Makamo, Esminah Mhlongo does not see herself being employed in future with the experience she has gained from the programme. The 34-year-old has been in the EPWP for eight years, thanks to the repeated renewal of her 12-month contract. “As far as I am concerned, this skill I have belongs to government and there is nothing else I can do with it. It is frustrating because there are no jobs,” she said. Mhlongo, from Phiva, about 35km east of Malelane, has decided to study teaching via distance learning and has enrolled at North-West University. Mhlongo said she was frustrated that the department of public works had been “promising” to increase their wages, but that had not happened. This package is part of a journalism partnership with Africa Check, the continent’s leading fact-checking organisation. The project aims to ensure that claims made by those in charge of state resources and delivering essential services are factually correct. In the run-up to this year’s national and provincial elections it will be increasingly important that voters are able to make informed decisions. This series aims to provide voters with the tools to do that. The Raith Foundation contributed to the cost of reporting.